Useful alternative or damaging deviation? Estimates suggest there are around 1.5m Americans who have turned to homeschooling for their children (and this is probably a significant underestimate). 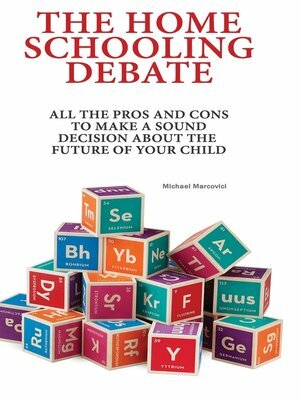 Whether this is due to a perceived failing in the state education system, religious or political convictions or the need to accommodate some special need of the student or family, it is an issue that causes controversy and, undoubtedly raises very serious questions about the state of future generations of American citizens. Advocates of the system claim it improves the education of the child, shapes it more to their needs and aptitudes and leads to a more rounded individual experience. Critics claim it undermines the public school system, makes children more narrow and prejudiced in their outlook and doesn't offer any significant advantages academically. So who is right? As with all such debates there is a high degree of subjectivity involved when assessing claims and counterclaims. It is difficult to substantiate or disprove a lot of these and not enough objective, scientific research has been conducted to come up with conclusive results either way. Many who have used the system are very happy with the results though they assert it is hard work and requires lots of commitment (and often cost). A few are honest enough to admit there are considerable drawbacks and that the concept is not suitable for everyone – adults or children. A lot of its critics are opposed to it on political grounds claiming it is a reactionary idea that breeds inequality and perpetuates right-wing principles. Others oppose the association with religious beliefs, though there is no strong evidence that this is a major factor in most decisions to homeschool. Homeschooling has had a long, hard road to acceptance. It has been equated with truancy and illegality and has been criticized and pilloried often by people who know little about it. Its practitioners have been branded as 'kooks', religious fanatics, right-wing pedagogues and many other things. Some of these accusations might be founded but the average homeschooler is probably none of these. In fact they are probably just that – average. Many will agree it is a parent's right to give their children the best possible education and it is an issue of choice, freedom and independent thinking. Whether this is largely beneficial or detrimental will ultimately be down to the perspective of individuals as they consider the pros and cons.